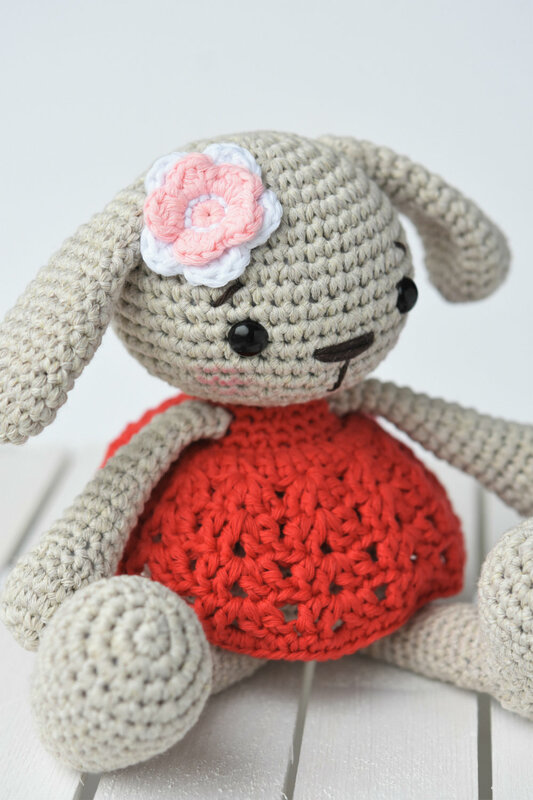 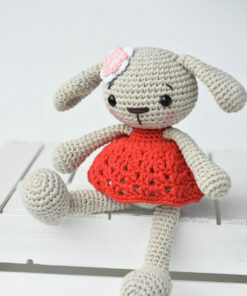 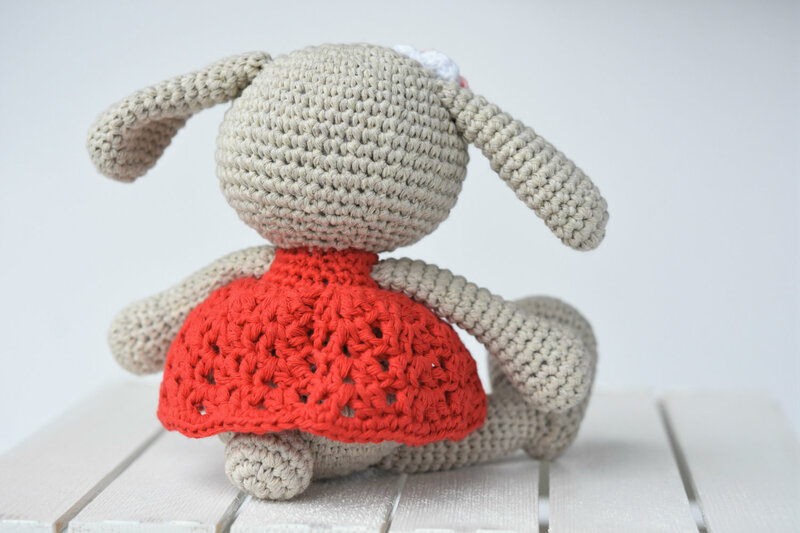 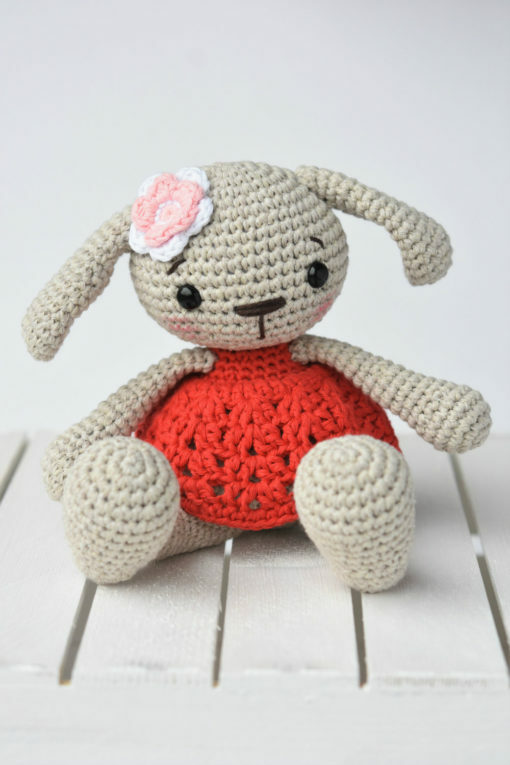 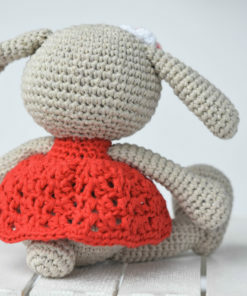 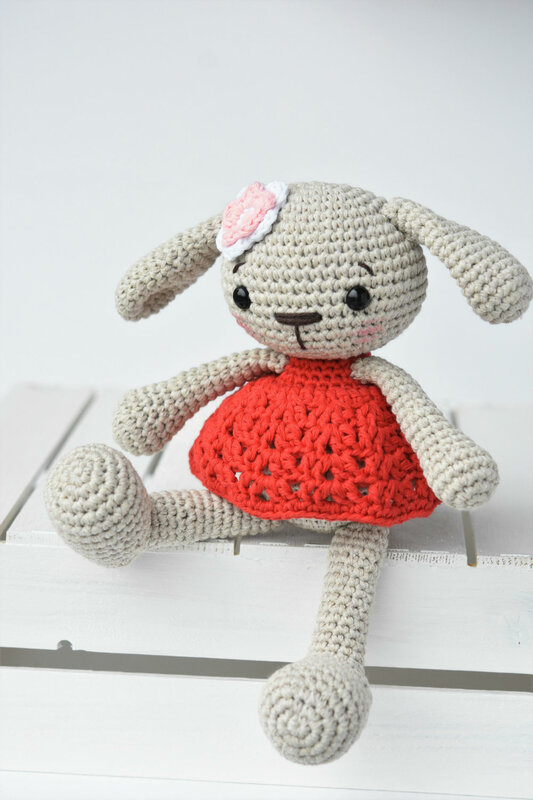 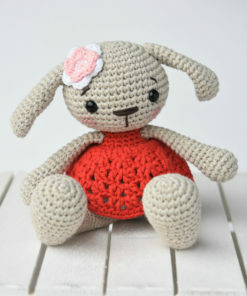 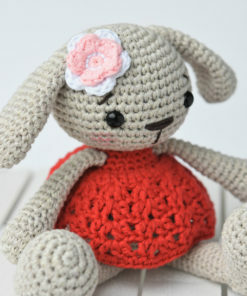 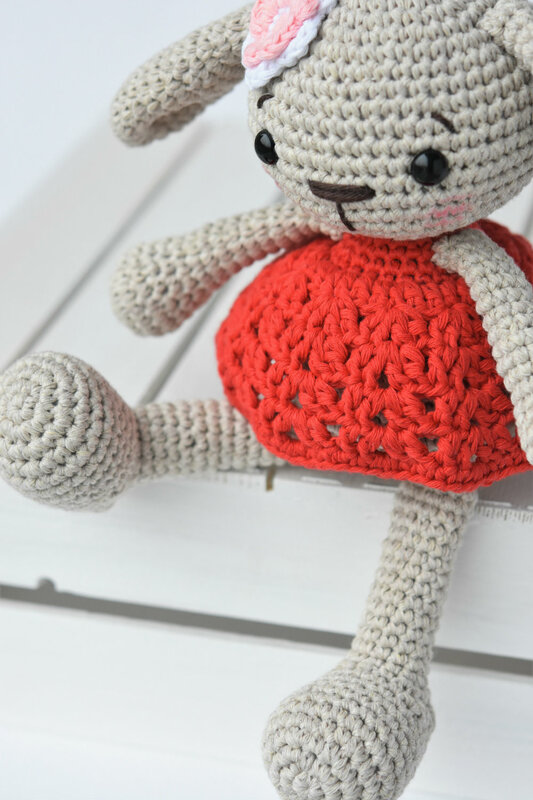 Miss Bunny is a sweet modest bunny girl with red-hot lacy dress and flabby ears. 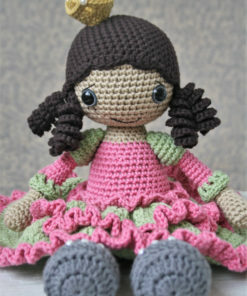 She has a flower embellishment on her head. 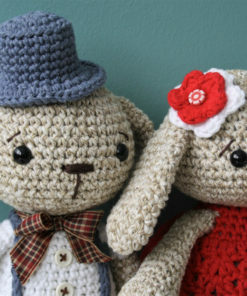 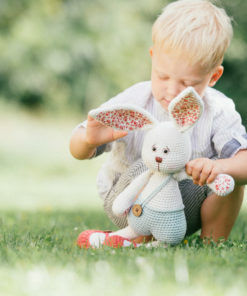 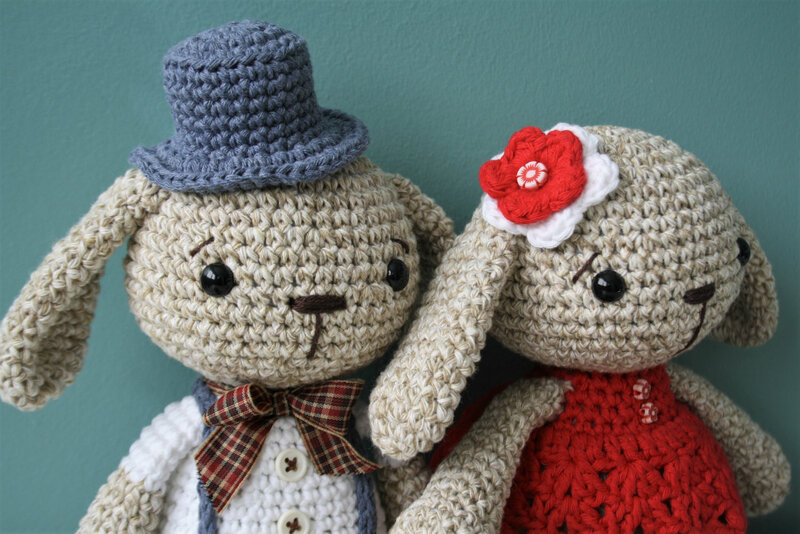 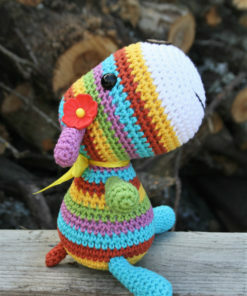 Miss Bunny has a friend Mister Bunny (pattern sold separately). 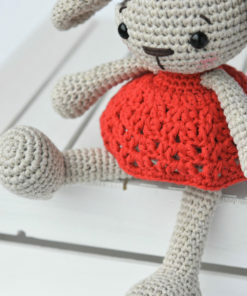 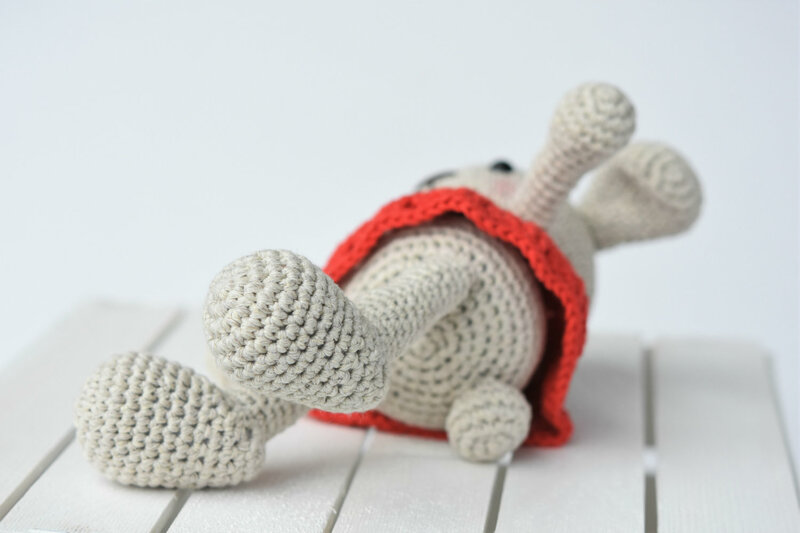 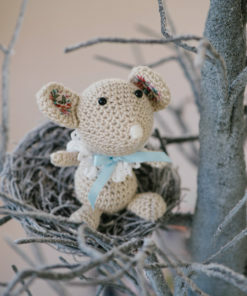 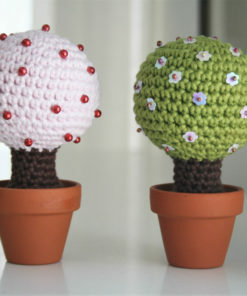 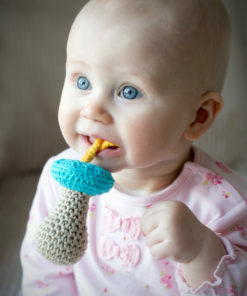 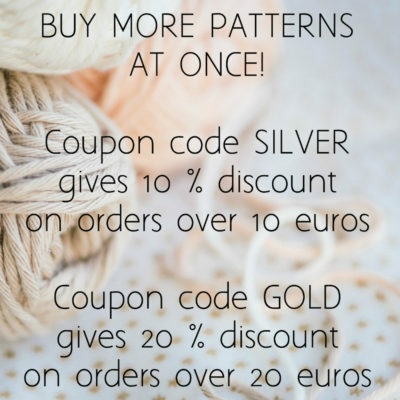 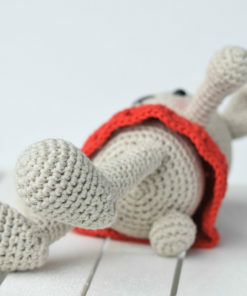 The pattern uses 3.5 mm (E) crochet hook and aran (10 ply) weight yarn.